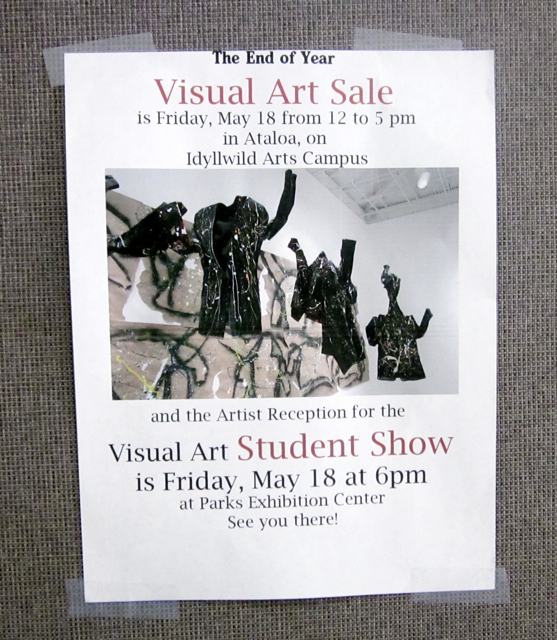 Ever wanted to purchase a dramatic piece of art that you’ve seen at the student art shows at Idyllwild Arts? Now’s your chance! Just for today, Friday, May 18, you can purchase paintings, drawings, photographs, sculptures and mixed media pieces directly from the artist. 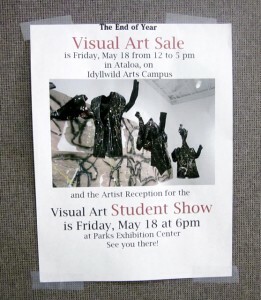 Now’s your chance to talk to the student who made the piece! Go to Ataloa Ceramic Studio from Noon to 5 p.m. today and see what the students have to offer. Ataloa is on the right as you head up towards the Parks Exhibition Center on the Idyllwild Arts campus. For more information, call (951) 659-2171.